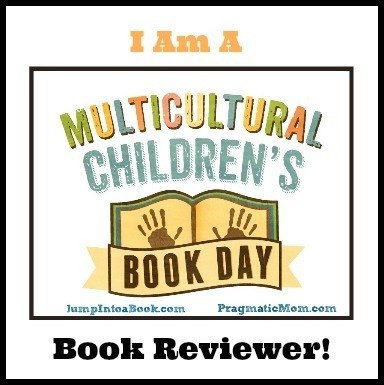 Today, I’m posting a review for Multicultural Children’s Book Day, a literary event that takes place every January and, this year, culminates on January 25 with a huge online celebration. Throughout the month bloggers, reviewers, and individuals post reviews of children’s books that offer multicultural themes, characters, and stories to inspire young readers and introduce them to their peers around the world as well as to global celebrations, ideas, and conditions. The mission of Multicultural Children’s Book Day is twofold: to raise awareness of children’s books that celebrate diversity, and to get more of those books into classrooms and libraries. To learn more about Multicultural Children’s Book Day and discover downloadable resources for teachers and individuals as well as a list of all the books reviewed during the month, visit the Multicultural Children’s Book Day Website. A little wide-eyed girl has lots of questions and big plans, but first she wants to know why she has to go to school. Her mom tells her “so that you can be whatever you want to be when you grow up.” It’s sage advice because this young girl sees possibilities all around her. When she reads a book all by herself, her mom encourages her, and the girl thinks that maybe she’d like to be an English teacher when she grows up. 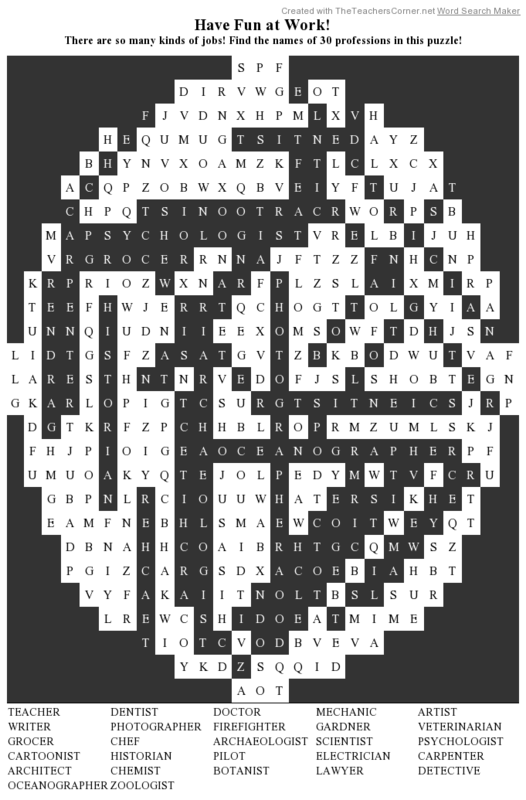 Image copyright Yasushi Matsuoka , 2018, text copyright Keosha Sath, 2018. Courtesy of Mascot Books. Keosha Sath opens up a world of possible professions in her sweet conversation between mother and daughter. The little girl is brimming with enthusiasm and curiosity about the jobs and workers she encounters. Her strong self-confidence and interest in all types of professions will inspire readers to see themselves in positions of leadership and to use their talents to reach for the stars. The girl’s decision to be a mom like her own reinforces the importance of the job parents do while demonstrating that children do notice and appreciate all the support parents give. Yasushi Matsuoka’s vivid illustrations portray a happy, inquisitive, curly haired young girl imagining herself as a CEO, walking the moon as an astronaut, examining a puppy as a veterinarian, removing a full honeycomb as a beekeeper, and performing other jobs that attract her. Her supportive mom and dad are nearby to nurture her natural curiosity, and the final image of a family hug is endearing. Just Like You is a charming way to foster discussions about talents, activities, and favorite subjects as well as a fun story for family bonding at story time. To learn more about Yasushi Matsuoka and his art, visit his website. There are so many fun careers to explore! 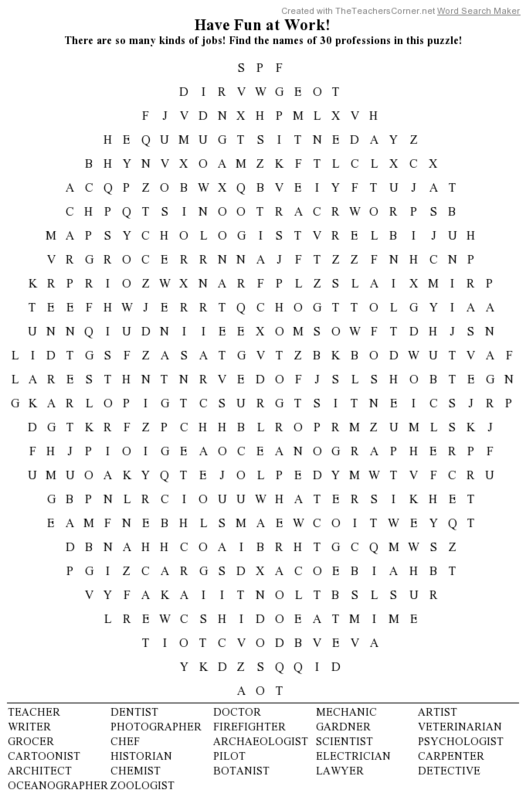 Can you find the names of all the different jobs in one of these printable word search puzzles?